What can you do by knowing your future – you still can’t change a thing! I am often asked this question. Perhaps because in my Book Fall Like A Rose Petal I talk about how two astrologers, a father-son duo Balan Nair and Ramamohan Nair, gave us perspective and direction in our darkest hours. Yes, I do believe that all of these – astrology, numerology, vaastu and feng shui – are sciences. So I respect them. But I have learnt that beyond gaining perspective and direction, we must not look for them to resolve our Life situations. They simply can’t! Let me explain. When you go to a doctor, you are prescribed a medicine. You must take the medicine for you to heal. Similarly, when you go to an astrologer, invariably – especially if the astrologer is an expert and is ethical – you are advised prayer. This is all what astrologers can and must do – they must tell you more about the phase you are going through in Life and advise prayer. What is prayer at the end of the day? It is just a form of surrender to a Higher Energy. Prayer in the context of a sunny, prosperous phase really means being grateful for all the abundance; and in the context of a turbulent, dark phase means acceptance and surrender. Clearly, a good astrologer can only read your chart efficiently and share with you the facts, the context, of your ongoing Life experience. No astrologer can change your chart. Therefore, over time, I have learnt that when practitioners of numerology, vaastu and feng shui make claims to “alter” your Life’s course, they are really talking bunkum. I don’t hold it against them though. That’s their business model and their need to earn a living drives them to do what they do. After over a decade of living through a cathartic phase in Life, I have come to realize that the only way to dealing with Life is to simply be in the moment. You can’t solve some inscrutable Life situations. You have to go through any experience for as long as it lasts, however long it takes. Apart from just being, being happy, prayer is good coping device. When you pray – and I don’t at all mean or recommend being ritualistic or religious here – just surrender to a Higher Energy. Offer yourself to be led by it. Trust the process of Life and go with the flow. I am happy to report that I have even stopped seeking direction and perspective from my astrologers. I no longer am keen to know when my trials and tribulations will end. As you can see, I am not bitter with Life either. In fact, I am delighted I am going through this phase because it has only made me stronger, wiser and happier. Without this experience, I will not have learnt the art of being, being happy – which is really to be non-worrying, non-frustrated when results don’t come and non-suffering in the wake of so much pain. In reply to a mail that I had sent providing an update on our situation, a friend to whom I owe money wrote this reply recently: “I really hope that in 2017 all your troubles vanish and Vaani and you bounce back. You can’t keep going through this phase endlessly.” My cousin asked me once: “How long will you endure this? Don’t you want to know when all this will end?” I know that everyone wishes us well and are genuinely concerned for us. But is there any point in knowing when a tough phase in Life will end? What can you do with such knowledge? Whether you know that it will end soon or later, you have to go through whatever you have to. Nothing – and no one – can change that reality. So, Vaani and I have realized that it is best to go through whatever is in store, stoically, with a smile. There is intense pain at times, but our equanimity, our happiness, helps us not to suffer. Only spirituality can help you live in this world and yet be above it! Spirituality demands nothing of you. It invites you to just be and to let Life take you on your journey – one moment at a time. A whole lot of people out there are confused between spirituality and religion. They think that people who lead religious communities are spiritual. It need not necessarily be so. Spirituality is the flowering of inner awareness – it helps you understand that all Life is equal just as it is impermanent. When you realize the true nature of Life, you simply want to be (who you are) and don’t want to anymore become (something, who you are not!). This morning’s papers reported the shocking story of a lady reporter having been asked by members of the Jain community to move to the back row in an auditorium because they didn’t want a woman sitting in the front row, when their munis, their gurus, who are celibate, sat on stage. Rashmi Puranik, a journalist with a Marathi news channel, was asked by members of the Shree Santacruz Jain Tapagachh Sangh to move to a back row at a function organized by the Jain community to felicitate Maharashtra Chief Minister Devendra Fadnavis for banning beef in the state. The organizers felt that Puranik’s presence would “offend” the celibates. I found the approach of this section of the Jain community outrageous. I would like them to ponder over how their “venerable” saints, the munis, the gurus, were created on this planet if they found the presence of women “offensive”. The way this Jain Sangh behaved with Puranik is not just regressive in the context of respect to women, it is an assault, a slap, on all of humanity. I am glad Fadnavis said what he finally did at the event, but only after Puranik raised a stink over the treatment meted out to her: “We are in the 21st century. All practices that discriminate against women should be stopped. A society progresses only when women get due respect.” Apparently, the Sangh has issued a statement saying the issue had been misrepresented and that Puranik was only asked to join a row meant exclusively for women. I am sorry. But I find that argument too weak and untenable – aren’t you still discriminating on the basis of gender? But there’s yet another, equally larger, issue that begs clarity here. Which is, the role of religious leaders. These leaders, like the religions they represent, are confusing humanity. Their avowed rituality, their dogmas and their faulty, often illogical, belief systems are in place only so that they can lead and control their followers. 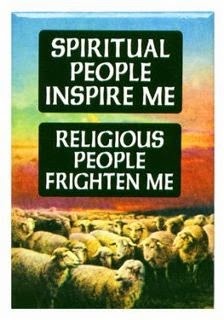 Instead of awakening and inspiring people to the right way of thinking, living, working and winning, they are promoting fear and guilt in the garb of championing religious discipline. I, for one, don’t see any value or virtue in celibacy. In fact, it is impossible for anyone to be celibate. And truly no one is. Indulgence need not be with the physical sense and form alone. Those who claim and profess celibacy in a physical sense may have never stopped fantasizing encounters in their minds! And why work hard on suppressing a natural urge when, by being truly spiritual, you can allow it to arise within you and yet remain unmoved by its presence? A truly awakened person is one who can, in the company and presence of a woman, nurture a feeling of compassion and love for her. Trying to claim the same while asking for women to not cross your path is, to put it bluntly, cowardice. That’s a simple, awakening perspective from someone who has seen a lot of Life. I wish those who sit on powerful social or community pedestals, controlling religions and people, learn from this man’s wisdom. Only then can we create a spiritual world that celebrates all of humanity. Only then can we rid ourselves of a dogmatic, ritualistic religious order that divides basis gender and social stature and exploits the vulnerable among us! Author AVIS ViswanathanPosted on May 1, 2015 March 14, 2016 Categories Astrology, Balan Nair, Beef Ban, Celibacy, Devendra Fadnavis, http://schemas.google.com/blogger/2008/kind#post, Inner Peace, Intelligent Living, Maharastra, Rashmi Puranik, Religion, Shree Santacruz Jain Tapagachh Sangh, SpiritualityLeave a comment on Only spirituality can help you live in this world and yet be above it! Life cannot be fixed. It has to be faced and lived! Life is pretty simple. Don’t complicate it by over-analyzing it. Last week I met with someone who is a practitioner of new-age methods of healing. He had heard my “Fall Like A Rose Petal” Talk and reached out to me. He said he would analyze the water content in my body, study how my body responded to sound and recommend ways in which I could revive my business and career. “I will bring you back on track,” he suggested, reassuringly. I politely declined his offer citing lack of time to engage with his proposition. But he persisted. I had to then tell him what I felt about what he was recommending I do. “I am already on track. I am anchored in faith and patience. I am aware that my business and career need to revive urgently. And I prefer working on my business than on attempting to change my Life design,” I said. The gentleman took the cue and backed off. I don’t have anything against religions, rituals, conventional forms of prayer, astrology, Vaastu, Feng Shui, gemology or even science (for methods like the one this gentleman was recommending). I have tried all of those and have discovered that our individual Life designs are pre-planned, pre-ordained and are unalterable. We have to go through whatever is in our design. 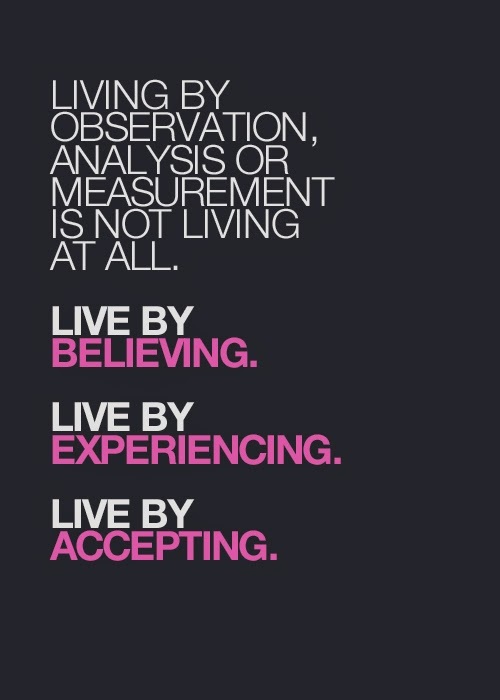 So, the best way to live Life is to live accepting whatever comes our way! Indeed some of the methods we seek, or are advised to follow, do help us to be peaceful. But they can’t alter the course of our lives. What is ordained will happen. If we resist what is happening, we will suffer. If we accept whatever is happening, while there will undoubtedly be pain, there won’t be any suffering. When you are not suffering, you can focus better. And despite the pain you can be at peace. My astrologer, a very wise man, who, at 85, is a Master in his own field, taught me this: “Astrology cannot alter the course of your Life. It can at best tell you about the weather conditions and tell you how long the storm or sunshine will last.” This is so contrarian to what most practitioners of astrology – or other methods and sciences – claim out there. Which is why, people like you and me, fall prey to them. Actually there’s no point blaming anyone in today’s highly commercialized world. We must pause to reflect and examine if we are being sensible when we expect to someone or something to “correct” our lives when we are faced with a challenge. The truth is that Life cannot be fixed. It has to be faced. It has to be lived. It is through the experience of facing and living – and learning from – Life that we grow and evolve. It is when we grow and evolve that we understand that Life is simple. It is then that we realize that we complicate Life by wanting it to different from what it is. When we awaken to this realization, we will drop all our wants, we will let go, and then, we will be truly peaceful and happy! Author AVIS ViswanathanPosted on August 29, 2014 March 14, 2016 Categories Art of Living, Astrologer, Astrology, Fall Like A Rose Petal, Feng Shui, Happiness, http://schemas.google.com/blogger/2008/kind#post, Inner Peace, Intelligent Living, Pre-ordained, Religion, Suffering, VaastuLeave a comment on Life cannot be fixed. It has to be faced and lived! When you can’t find a way forward, when it is absolutely dark, look within. That’s where you will find the light. That’s what is called faith. We have, for long, been conditioned to understand faith is what we have in an “external” Energy or object, sometimes a.k.a God. So, in times of crisis, when Life comes to a grinding halt, when you are circumstantially cornered, your faith, as you understand it, also becomes questionable. The external Energy, God, whatever, doesn’t physically come to your rescue – at least not in the way you expect it! And so, you question whether there really is a God? Whether there really is a Higher Energy? We have all gone through these tests. We have all, in a fit of rage, when it appeared that Life was most certainly over, declared that God is blind, that the God-theory is all hog-wash and all your faith has been misplaced. There’s nothing wrong with such a response to Life in trying, and excruciatingly painful and hopeless, situations. It is but natural to vent your frustration especially when matters relating to faith are concerned. So is keeping the faith a really futile exercise? Actually, to answer this question, you must re-examine how you define faith. Faith is not what you project externally. 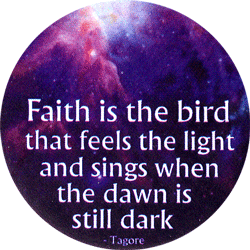 Faith is a deeply personal resource which can be found only when you look within. You don’t normally understand this because of the way you approach Life. Consider this: something challenging happens in your Life – you lose your job, you suffer a serious health setback, you lose someone you love, your business is badly hit or any other context. Immediately, the focus, the examination of the event, is through external reference points. Any effort to deal with the situation is also driven by external coordinates. Rarely is there an inquiry within. I remember, when things started going wrong in our business, we went around on pilgrimages for months on end. We went to people who advised us how the apartment we lived in needed redesign (actually, re-engineering! ), how our Firm’s name had to be changed and so on. We were taken to someone who advised me to wear rings on my fingers, in both hands. I have nothing against any of these efforts that we undertook or the advice we received. Except, to complete the story, none of these efforts helped our failing business – and we indeed went bankrupt! But I am not bitter or ridden by guilt over what we tried. I am only transparently sharing here, the steps we undertook, to reinforce my point that we always look outside for answers, for solutions. 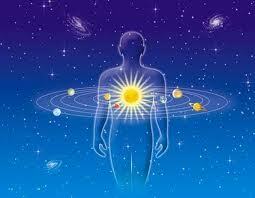 My visits to a very learned astrologer were also part of this external-gratification journey. However, I am blessed that I found this gentleman, a scholar, a maestro in his craft (the science of astrology). He opened my eyes to my soul! My inward journey was triggered in part by that unintended discourse. To me, ever since, faith has meant knowing that “if you have been created, you will be provided for.” I am not against religion or an external-God theory. But I will champion any day, from personal experience, that in Life’s darkest hours, the road that you will find fully illuminated, and inviting, is the one that leads you within. Being on that road does not mean that all your problems in the external world will cease to exist. Being on that road, however, surely means that you will be more capable, and feel more confident, of dealing with all those problems. Because that road always leads to inner peace. 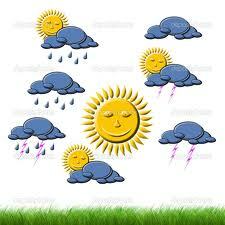 Astrology is like a weather forecast: prepares you better if you use it well! As long as the information you receive is reliable, use any tool to further your decision-making process. But apply your intelligence, gut feel and your FAITH too to make your choices. You may make some right decisions and you may make some decisions that go awry in Life. But whatever happens, you will have learned! A friend told me yesterday that astrology doesn’t work. And wondered if I believed in it! I am often asked this question. And my simple answer is the problem is really not with astrology as much as it is with astrologers. Astrology is a science. And it works pretty much like the way computer science or space technology or aviation works, Practitioners of science can do both __ for instance, they make life saving drugs and they make chemical weapons. Similarly, astrologers can be two kinds too. The ones who are like good scientists – precise, reliable, modest and ethical. And the others who are good with their craft but yet are greedy, want to control you so they can fleece you and therefore employ questionable practices and rituals in the name of ‘God’ and ‘religion’. Obviously, people are free to choose. I am one who likes the truth up front, on the table and completely abhor religion and rituals. So, the astrologers I consult are those who are Masters __ they are as good as Sachin Tendulkar or A R Rahman are in their crafts. Even so, I have also learned that astrology cannot change your Life. In fact nothing can change your Life’s design. And astrology can’t solve your problems. At best astrology serves as a dashboard __ just as you need to know various parameters to be able to drive your car efficiently, astrology can enable you to lead your Life better. It can help you deal with your problems better. But the aspect of leading your Life __ living it, being present, making choices, taking decisions, all of this is, and will forever remain, ONLY YOUR responsibility. And this is where Faith comes into play. Faith, again what I have learned, is not about religion. It is about understanding and celebrating Life. It is about being. Being present, than about worrying or fearing, when Life is happening to you! I have learned to simply trust Life, which has given me this lifetime, and trust people who are Masters in their craft, their science, and lead it to the best of my ability. I employ astrology like I do a weather forecast. If I know it is going to be squally, I may prefer being indoors. Or if there are going to be showers, I will be better off carrying an umbrella. Just because the weather forecast says a storm lies ahead, I don’t plunge into a depression. And I sincerely hope no one does too. To be sure, praying to a God is not going to stop a Sandy hurricane from hitting you. A weather forecast and a natural calamity doesn’t mean you stop living. It only means you work on being better prepared. And you learn to accept whatever’s happening with the weather. So it is with you, your Life and astrology. Trust if you will, choose not to if you won’t! Now you may wonder, and it is quiet logical, as to why and how do you trust someone who knows a science that you don’t. That’s precisely why you need that person. If you knew about something why would you need someone else to guide you? And don’t you trust a doctor, who knows how your heart or kidneys or lungs or liver work better than you do, with your Life when you sign up for a surgery? And don’t you also trust a pilot, whom you have not even met nor demanded to see his pilot’s license to check his credentials, with your Life when you board an aircraft to fly? So, why not trust an astrologer__who, by the way, is no small subject matter expert! Good astrologers, like good doctors, are not charlatans or soothsayers. They are seers __ they have seen Life and see its inscrutable nature several-fold better than you or I do! There was a time when, under advise from some quarters, I wore rings with special gems in them, on my fingers to ‘help protect me during my difficult times’. I was not convinced with this. But I still wore them because I thought I was not losing anything by wearing them. On one visit to my astrologer, a 75-year-old veteran, I showed him my rings and asked for his opinion. I stared at him curiously. The absurdity of my choice and expectation that a pre-ordained design can be altered by wearing a ring became evident to me in a nano-second! I felt woefully stupid. I also understood that the devotion he was talking about was not religious fervor. He invited me to stay devoted to the experience I was going through. He said experience is the ONLY teacher. And the more I resisted the experience of the challenging time I was being subjected to, the more I would suffer. Instead if I embraced it, loved it and devoted myself to the learning process, I may not suffer. Not that I can immediately change my current reality, he said, but I would be able to deal with it infinitely better. I just loved his perspective and could relate to it completely. So, I put my faith in his advice. Astrology to me is a tool. It helps me take informed decisions. I use it as well as I use my cell phone. And both work on science! As you can see, my Life goes on __ ridden with squally weather, hailstorms and cyclones, volcanoes, forest fires and earthquakes, but there’s phenomenal inner peace. Occasionally, I go back to astrology to refresh the forecast and my Life’s dashboard, so that I can lead myself and my family onward, on the path, that much better! Author AVIS ViswanathanPosted on December 28, 2012 March 14, 2016 Categories Accepting, Art of Living, Astrology, Being Present, http://schemas.google.com/blogger/2008/kind#post, Intelligent Living, Leading, Learning, Making Choices, Problem Solving, Problems, Taking DecisionsLeave a comment on Astrology is like a weather forecast: prepares you better if you use it well!